Drying Young Sticky Rice (Khao Mao) for later consumption in Champasak, Laos. This is an annual task for all my relatives that are farmers. 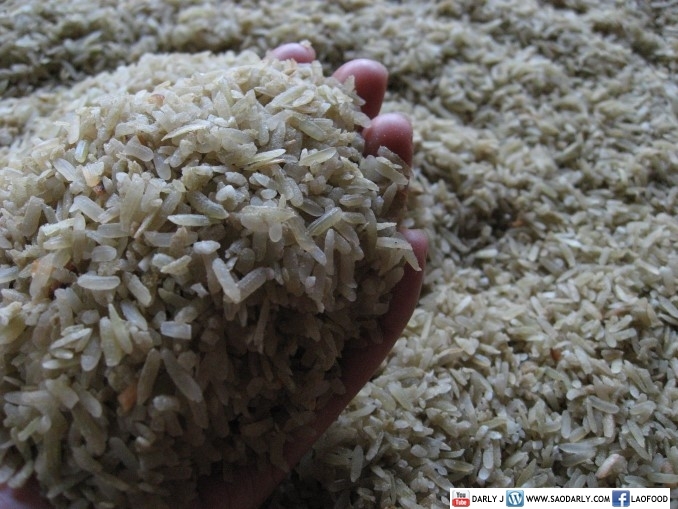 They dry the young green rice for their own consumption and to hand out as gift to friends and other relatives living in the city. When they are done with harvesting season, they usually send new season rice, Khao Mao, dried mango sheet, and fresh caught fishes to Vientiane via the over night bus from Pakse. I like the aroma of freshly steamed young sticky rice. With some grated young coconut over the rice and a little bit of palm sugar, it’s a nice breakfast, lunch, or dinner for me.